Francois Joseph Le Mercier, Plans des forts faicts par le Regiment Carignan Salieres sur la Riviere de Richelieu dicte autrement des Iroquois en la Nouvelle France. [“Plans of the forts made by the Carignan-Falieres Regiment on the Richelieu River, also called the Iroquois, in New France. Paris: Sebastian & Sebastian Mabre-Cramoisy, 1666. Engraving, 13 ¾”h x 18 ¾”w plus narrow margins, uncolored. A rare and immensely significant map of the Iroquois Country, prefiguring more than a century of conflict for command of northeastern North America. This extraordinary map is the first to focus on the Iroquois Country at a large scale. It depicts the roughly triangular region bounded on the North and West by the St. Lawrence River, on the East by the Hudson River-Lake Champlain-Richelieu River corridor, and on the south by the villages of “Les Cinq Nations Iroquoises.” French settlements along the St. Lawrence are identified, as is the Anglo-Dutch presence at “Manata” (Manhattan) and “fort Dorange” (Albany) along the Hudson. The settlements of the Five Nations are shown rather schematically in a rough line extending from the Mohawk River just west of Albany to the far reaches of Lake Ontario. Three forts along the Richelieu River, with large-scale plans of each occupying the vast empty space north and west of Lake Ontario, are testament to French efforts to bring the hostile Iroquois to heel. The geography of the map is immensely significant, for it is the first to come close to piecing together the relationship of the St. Lawrence River-Lake Ontario corridor to the Mohawk Valley. This soon became vital as English settlement advanced in the Province of New York, and settlers began to bump up against the Five Nations and the French. The map also makes a great advance in its depiction of the vital Richelieu River-Lake Champlain-Lake George-Hudson River corridor, soon to become known as “The Great Warpath.” The pieces of this puzzle had of course been rendered earlier, most famously in Champlain’s capstone map of 1632 and in the so-called “Jansson-Visscher” series, but never nearly so accurately as here. This map was prepared for the report of François Joseph le Mercier (1604-1690), Superior General of the Jesuit missions in New France. Le Mercier was first posted to New France in 1635 and served for some years on missions to the Huron. In 1653 he was appointed Superior General as well as Rector of the Jesuit College in Quebec. He served in the former role from 1653-56 and again from 1665-70, during which time he wrote the annual reports that are now counted among the Jesuit Relations. He must have been both brave and durable, for in 1656-57, in spite of his seniority, he devolved authority to a vice-superior and undertook a dangerous mission to the Onondaga. After a brief return to France in 1673, he was sent to the West Indies, where he rose to Superior-General of the missions there before dying in Martinique in 1690. This advance force succeeded in constructing three forts along the Richelieu River: Fort Richelieu, Fort St. Louis and Fort St. Theresa. Each is shown on the map in its proper location, with larger plans occupying the open space north and west of Lake Ontario. 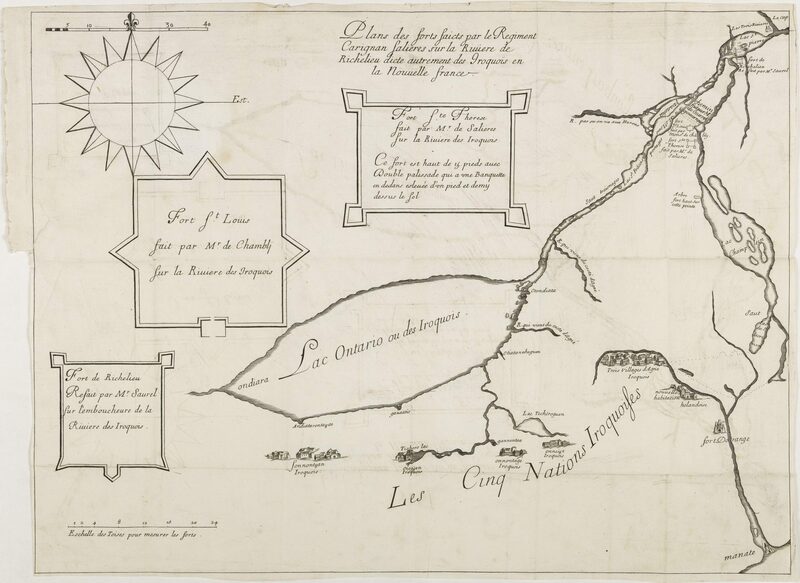 Le Mercier goes on to sketch the Five Nations of the Iroquois. He moves from East to West, beginning with the “Anniegué” (Mohawk) near Albany and ending with the “Sonnontuan” (Seneca) near the far end of Lake Ontario. The Anniegué, Onneiout (Oneida) and Onnontagué (Onondaga) are described as hostile, while the western nations of Sonnontuan and Oiogoiuen (Cayuga) are viewed as neutral and, at least in case of the Oiogoiuen, partially converted. The narrative account is complemented by the map, which which shows the location of each of the Five Nations along the Mohawk Valley or south of Lake Ontario. 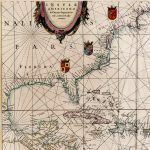 In all, a rare and vital piece of 17th-century cartographic Americana, reflecting both important advances in geographical knowledge and documenting the clash of civilizations in northeastern North America. 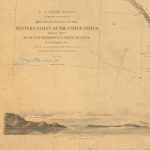 We find no record of the map having appeared on the antiquarian map market. However the Siebert copy of the Relation, with the map, sold for $31,050 in 1999 and was sold again for $31,800 in 2001. Prior to that, Rare Book Hub notes only two copies of the Relation, both sold in 1965, one being the Streeter copy and both with the map. 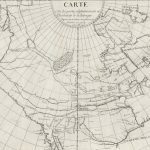 The map: Burden, Mapping of North America, Addenda #393a. The Relation for 1664-65: Church, Americana, vol. III #596-597. Howes, U.S.-Iana, #J106. Sabin, Dictionary of Books Relating to America, #39994. Streeter #3936. Folds as issued, small binding tear mended, a hint of offset, and lower-left margin trimmed for binding. Better than very good.